Hi guys! I so excited today to have DiDi Lemay, the author of The Winter's Solstice Celebration to Darlyn & Books today. My mom and I love the book so much and she even reads it a few times to my little cousins at home. You can read my review here. So, without wasting the time, here's my interview with her. Say hi and welcome her too! D: Hi DiDi! Can you tell us a bit about yourself? DL: I’ve been writing for a very long time. I started when I was about 10 years old. Writing is an outlet for me to communicate and that is something I love to do. One of the ways I communicate is that I’m a teacher. I on occasion teach English as a Second Language to students of all ages. I’m a very outgoing and happy person who loves life and sees the best in things. I love meeting new people and have adventures. The experiences in my life and the people whom I meet often inspire me to tell a story. I am very happily married. We have a cat named Harley and a dog named Rosie. My husband and I love to go for long walks with our young puppy- a golden doodle. She has lots of energy and it is fun to go hiking in the woods with her. I have an adventure everyday. D: What is your routine of writing? Where and when do you find the time to write? DL: There are times where I have a strict schedule of writing or researching everyday. That is usually once I have developed the story and feel that it has to be put on paper – so I don’t forget what my characters are about or what they have to say or how the story unfolds. When I’m working on character or story development, I just let my imagination flow and percolate. I have a journal with me when I’m out so that when I have an idea I write it down. When I’m at home, I will drop what I’m doing and start to write. I then write until that train of thought is on paper. That can sometimes be within a few sentences or at times hours of writing. It has happened that I’m so immersed in writing that when my husband comes home things are strewn all about. He knows what is going on and then just waits until I stop. He doesn’t want to distract me. When this happens, my husband says I’m “in the book”. D: Did you always know that you are going to be writer? And children story writer even more? DL: I knew I had to communicate my stories to a lot of people and I did feel a pull towards books and writing. I loved reading as a child and when people asked me what I wanted to be when I grew up, I would always say a teacher and writer. I am both. When I was about 10 years old, I wrote a story as homework for the English teacher and she failed me. I had given a very detailed disruption on how the curtains in the bedroom window had fallen open and that the beam of light coming from the streetlight had illuminated the alarm clock(before digital) and that is how my character could see the time. The teacher told me that she did not believe that I had written this and that she therefore failed me. I was not insulted at all. I felt very confident in my writing. I can only say, that children’s story are the ones that seem to flow from my imagination. I believe it is because I’m still a child at heart. I also feel that writing stories for the younger generation I hope to instill values and meaning to their lives. I hope to be a positive inspiration in their lives. D: Winter Solstice's Celebration is really a good book. My mom and I love it so much! How did you get such a great idea to write the book? DL: I became very interested in the environment, when years ago, I noticed the small river I had to cross on a daily basis on the way to school. Everyday, it had different coloured foam. When I asked about what it was, people very callously dismissed it and told me not to worry about it. I found out that it was run-off from the factory up stream. I think the callousness of people worried me as much as what was happening to the river. I started thinking about the animals and how we did things to their environment. That’s how I started to think about their story. It became very important to me to tell the story of the environment through their eyes, so that we humans can learn what the consequences of our actions are doing to nature. D: I know it's not easy to write a story with a focus on quite a heavy issue concerning on environment to the children. It may sounds easy, but is there any research when you write the book? DL: When I get an idea for a book that addresses issues like what I write about in “A Winter Solstice Celebration” I look at how I can put it into words and characters that the children can relate to. With “A Winter Solstice Celebration” I then did a lot of research on environmental issues that were concerns and then I put myself in their “shoes” - the animals- and imagined what they would have to say to us about the environment. That is how this story came about. The environment is a very important topic and I wanted to give the younger generation something to think about while they grow up. I’m hoping that the children that read “A Winter Solstice Celebration” get inspired by the characters and take some positive actions to help the environment. D: Do you plan to write about other addresses issues for children books too in future? Maybe you're working on something now that you would like to share with us? 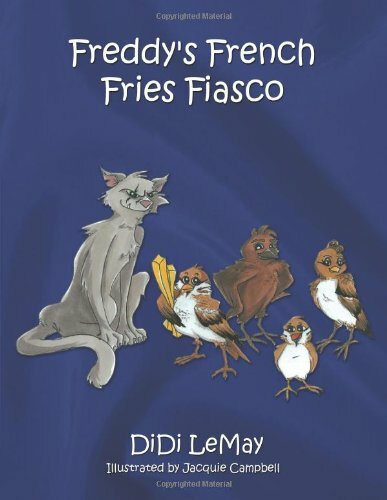 DL: My second book “Freddy’s French Fries Fiasco” which is also published, addresses childhood obesity. I felt it was important to get the message out to the children in a way that they could relate to. Children deserve to be healthy and active. I’m also working on the second part of “A winter Solstice Celebration” This is “A Summer Solstice Celebration” where I will address the issues and pollution of our oceans. I’m doing a lot of research and have already developed story line and characters. I’m also working on a series of books for younger readers. The character is “The Big Blue Bed Monster” who helps the children learn about important things in life. He helps them get over the fear of the dark and also goes to the dentist with them. D: Every author has their own mission in any of their books. What's yours? DL: My mission is to address issues in my books to inform and educate the children in a fun and interactive way. I also hope to inspire my young readers to become responsible and respectful adults. D: Tell us 3 things that we might be surprised to know about you. DL: I speak Dutch and German, I don’t have children, but I have lots of nieces and nephews. I enjoy new technology, but when I get something new, it takes a while to learn how to use it. D: Any last words before we wrap up? DL: One of the things that I want to instill in my young readers the importance of growing up to be a well balanced, responsible individual with respect and empathy towards their fellow human beings and their surroundings. A Winter Solstice Celebration is an excellent book for Adults who want to teach their children the importance of caring for animals and the environment they live in. My book makes great Christmas Reading. You can purchase my book at http://didilemay.com and Amazon. 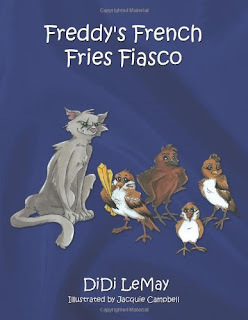 DiDi LeMay is the author of “A Winter Solstice Celebration” and “Freddy’s French Fries Fiasco”. 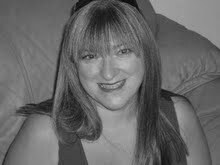 DiDi enjoys busy life writing, teaching English as a Second Language, and helping her students find their career paths. DiDi was involved with children’s entertainment for numerous years. While living in Europe she founded a Children’s Theatre Group, teaching children the ins and outs of acting, dancing, stage management, and writing. Thanks DiDi for your time at Darlyn & Books! The story is simple and easy to understand, drawing us into the tale of a little girl's meeting with the animals of the forest, and how she fights to stop her village cutting down trees for their human celebrations of the Winter Solstice.